As an undergraduate English major at UC Berkeley, it never occurred to me to be a STEM major. In fact, that acronym hadn’t been invented. It stands for Science, Technology, Engineering, and Math. Word on the street today is that if you are not majoring in one of those areas you might as well crawl into a cave with your literature, philosophy and history books and be happy and useless away from society. I contend that liberal arts majors have much to offer, even in today’s STEM-heavy environment: they are well rounded and can think and write clearly and logically. Which brings me to Shakespeare. As a senior, I took a seminar with the best professor I ever encountered—as an undergraduate, graduate student or as an English teacher myself. (I’m talking about you, Joseph Kramer.) He once made the statement that any three lines of Shakespeare could be read as a microcosm of the world, and went on to demonstrate that point repeatedly and brilliantly. And the International Oxford Dictionaries Word of 2013 Is……..
“Oxford Dictionaries announced “Selfie” as the international Word of the Year 2013, noting its frequency in the English language has increased by 17,000% since last year. So get out your smartphone, make those duck lips, take your picture and upload it to your favorite social media sites. We’re having fewer people for Thanksgiving this year than we did last year. That means we will need less cranberry sauce. The number of people coming from out of town is small. The amount of luggage they will bring will still be considerable. We won’t need as much silverware, especially not as many forks. Got it? I knew you would. Now the trick is to remember. Wishing you all a wonderful and meaningful Thanksgiving. While distracted about several things going on in my life yesterday, I wrote about English words derived from Latin and how some distinctions between singular and plural forms are disappearing because of common usage. Two of the words I listed were criterion and its plural, criteria. Imagine my embarrassment when I received an email from a friend, gently pointing out that those two words are Greek. Damn! I knew that. But I was so intent on my topic of frequently misused singular and plural forms that I lumped them in with the Latin culprits. Lesson learned: Focus! Concentrate! Even if quotidian annoyances are gnawing at me, I need to set them aside while I take care of the job at hand. As I said, mea culpa. Singular or Plural? How’s Your Latin? Without thinking about the etymology, many of us use Latin words every day: criteria/criterion, museum, auditorium, agenda, data, premium, for example. For the most part, we take those words and subject them to our English rules. Except for criterion and data, we simply add an S to make the plural and no longer realize that the Latin plurals are musea, auditoria and premia. The singular of agenda is agendum, but we never see that any more. One word losing the distinction between singular and plural is data. That is the plural form (datum is the singular), but we rarely see or hear the latter. It is becoming standard English to use “The data is confusing.” In fact, I’m guessing most people would be surprised to hear “The data are confusing.” Because data is not something easily separated into its components, this swing toward the ubiquitous singular is understandable. The distinction between criterion (singular, referring to one component) and criteria (plural, meaning more than one component) still exists, and I admit I cringe when I hear or see a sentence such as, “I have only one criteria for cooking Thanksgiving dinner: someone else has to do it.” Keep using the singular and plural forms of these words; they still carry meaning. Tagged as common English words derived from Latin, grammatical number, Latin, linguistics, singular or plural? 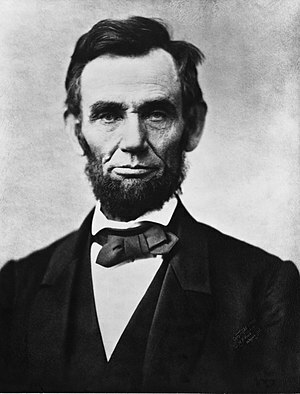 Abraham Lincoln delivered the Gettysburg Address 150 years ago. Contrary to popular belief, he did not write it on the back of an envelope on the train to Gettysburg. In fact, it is not known where he wrote the speech, but he did continue to edit it in the bedroom of the house where he stayed the night before the battlefield was dedicated as the first national military cemetery. Before Lincoln spoke, he was preceded by a former president of Harvard, Edward Everett, who droned on for two hours and eight minutes. Lincoln, who had been added as a speaker almost as an afterthought, rose to the podium and began. He delivered his speech in less than three minutes. Now we are engaged in a great civil war, testing whether that nation, or any nation so conceived and so dedicated, can long endure. We are met on a great battlefield of that war. We have come to dedicate a portion of that field as a final resting place for those who here gave their lives, that that nation might live. It is altogether fitting and proper that we should do this. But in a larger sense, we cannot dedicate, we cannot consecrate, we cannot hallow this ground. The brave men, living and dead, who struggled here have consecrated it far above our poor power to add or detract. The world will little note nor long remember what we say here, but it can never forget what they did here. It is for us the living rather to be dedicated here to the unfinished work which they who fought here have thus far so nobly advanced. It is rather for us to be here dedicated to the great task remaining before us—that from these honored dead we take increased devotion to that cause for which they here gave the last full measure of devotion—that we here highly resolve that these dead shall not have died in vain, that this nation, under God, shall have a new birth of freedom, and that government of the people, by the people, for the people, shall not perish from the earth. Preconditions, prerecorded and preplanning all can be shortened by eliminating the pre—. “We will meet with our opponents when they have met all our conditions.” See how “conditions” in its unadorned state says it all? “Recorded music has undergone enormous changes in the last few years.” All music is recorded before it is released, so the “pre” adds nothing. “Our move to our new headquarters will take a lot of planning.” Of course you will plan before you move your headquarters. The “pre” is understood and redundant.